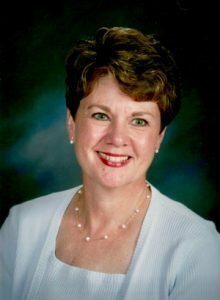 SOUTHERN SHORES – Julia R. Bair passed Thursday, April 4, in the comfort of her home in Southern Shores, North Carolina surrounded by her family. Julie was born in Altoona, Pennsylvania in 1951 and grew up in nearby State College. She became an elementary school teacher following graduation from Penn State University. Julie taught at schools in Lewistown, Pennsylvania; Haddonfield, New Jersey; and Worthington and Dublin, Ohio. She had a special connection with children and particularly loved teaching first graders. She received Dublin’s Teacher of the Year award and frequently received letters of thanks and praise from former students and parents. Julie was a kind, quiet, thoughtful person with a welcoming, contagious smile. She made friends easily with many friendships continuing for life. She loved animals, especially the labrador retrievers that were companions throughout her life. Comical stories of attempts to capture escaped hamsters in her classroom were common. Julie enjoyed traveling and walking on the beach but preferred to talk and laugh with family and friends. She is survived by Scott Bair, her husband of 41 years, and their daughter Katie Siebert, her husband Warner Siebert, and daughter Annabelle. It was Julie and Scott’s dream to retire to the Outer Banks of North Carolina, which they did in 2014. Family and friends whose lives Julie touched are invited to celebrate her life at 11:00am Friday, April 19, 2019 at Duck Woods Country Club, 50 South Dogwood Trail, Southern Shores, North Carolina 27949. In lieu of flowers, please send a contribution to the Stefanie Spielman Breast Center, Ohio State University, 1145 Olentangy River Road, Columbus, Ohio 43212.